It's been the worst kept secret in European football these past few months, but now it's official: José Mourinho has returned for a second stint as Chelsea manager. The Portuguese boss replaces interim manager Rafa Benítez after leaving Real Madrid, and has signed a four-year contract. 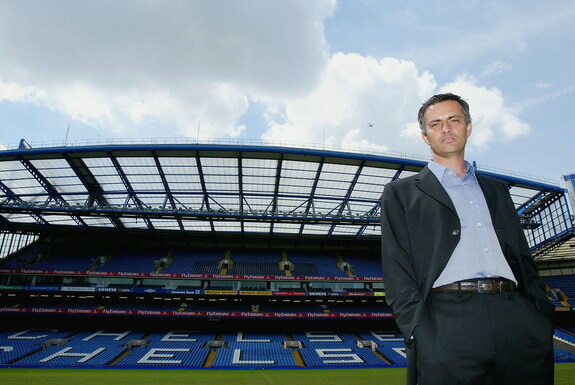 Chief executive Ron Gourlay told the club's website: "I am delighted to welcome José back to Chelsea. His continued success, drive and ambition made him the outstanding candidate. "It is our aim to keep the club moving forward to achieve greater success in the future and José is our number one choice as we believe he is the right manager to do just that. In the aftermath of Gourlay's statement, Mourinho spoke to Chelsea about his delight to be returning to Stamford Bridge. The 50-year-old told Chelsea TV: "In my career I've had two great passions, Inter Milan and Chelsea, and Chelsea is more than important for me. "It was very, very hard to play against Chelsea, and I did it only twice which was not so bad. "Now I promise exactly the same things I promised in 2004 with this difference to add: I'm one of you." Mourinho, who won five major trophies in his first spell as boss between 2004 and 2007, will be presented in front of the media at a press conference next Monday.